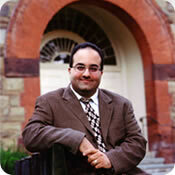 From Dr. Omid Safi, Associate Professor, Religious Studies, University of North Carolina at Chapel Hill. On his personal web site, Dr. Safi describes the impact on his family by the distribution of the hate-filled DVD, Obsession, distributed in a newspaper ad in his local community.
. . . The distribution of Obsession affected me and my family at an intimate local level: up to 160,000 copies of this propaganda piece were distributed through our local community in North Carolina. The newspaper of the nearby city of Charlotte, distributed another 200,000 copies. • “Former PLO Terrorist Who Speaks Out For Israel”, Walid Shoebat, who claims to have been a “former Islamic terrorist” turned Christian Evangelical Zionist. The Jerusalem Post has already dismissed the accuracy of his claims. • Daniel Pipes. If the Pro-Israel/Neo-conservative unholy alliance had a poster-child, Pipes would be it. Pipes is the most noted Islamophobe operating in the US. Pipes is also the Director of a Pro-Israel entity called “The Middle East Forum.” As for his one-sided commitment to Israel credentials, suffice it to say that he is the 2006 recipient of the “Guardian of Zion” award. . . . Dr. Safi’s complete original posting may be found by clicking here..